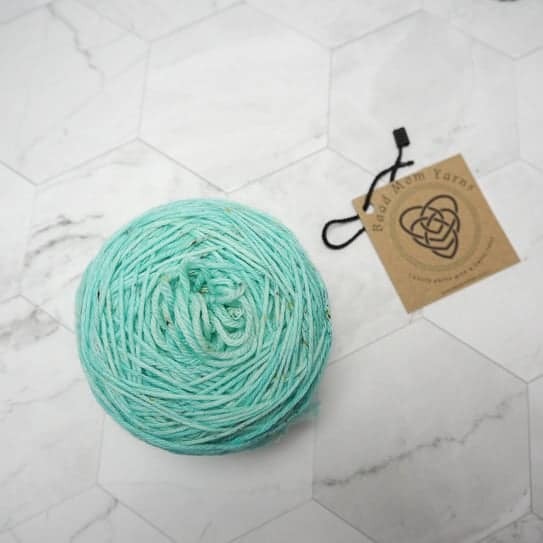 If you love hand dyed yarns, you’re going to love the hand dyed yarn from Baad Mom Yarns called Practical Mom. 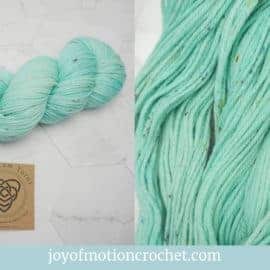 This yarn comes in so many beautiful colorways & in my opinion it offers you a guaranteed inspiration! If you haven’t tried hand dyed yarns yet, a worsted weight yarn as the one I tested is a great place to start. 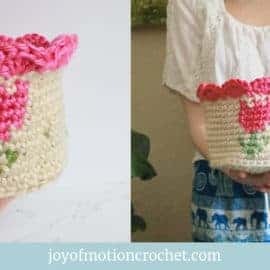 It’s not too thick or thin, just perfect for a quick & fun project. 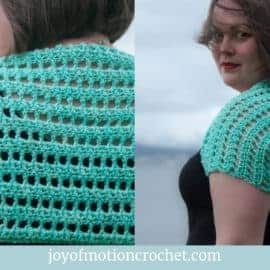 Also, further down I have a coupon code, giving you 15 % off this yarn, valid until June 1st 2019. Behind Baad Mom Yarns you fine Melanie, the dyer behind the yarns. She started dyeing yarn over 10 years ago, but opened her shop Baad Mom Yarns recently. 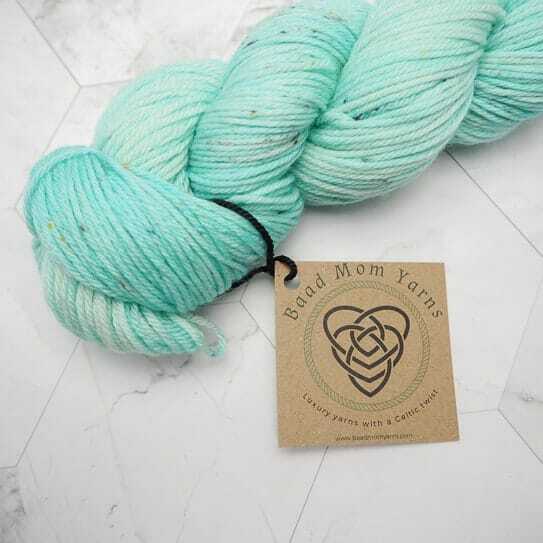 Baad Mom Yarns specializes in ethnically sourced hand dyed yarns in rich colorways that are inspired by the beautiful landscapes of Ireland and Celtic culture. 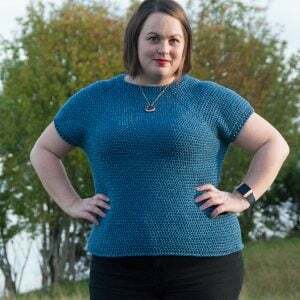 Melanie also has a great team of brand ambassadors, offers yarn support for designers & has great information about how to care for your hand dyed yarns. 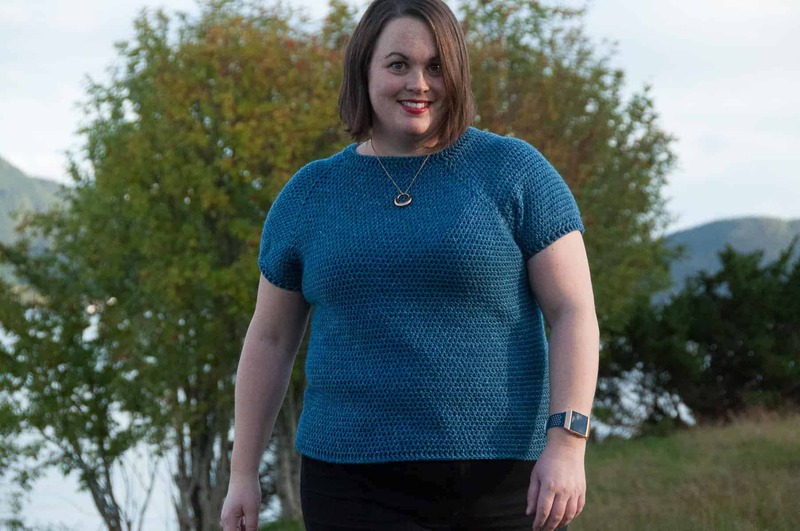 This 4-ply hand knit yarn is a springy Superwash merino. Sweaters? Shawls? Cables? Stitch detail? 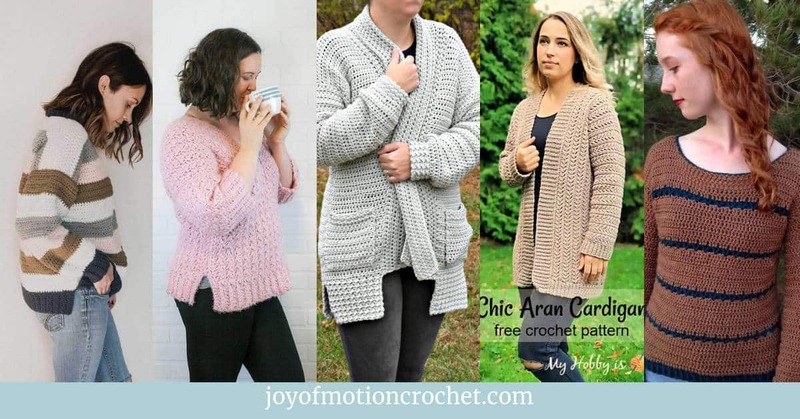 You will love this yarn for the defined stitches as well as for the easy care of superwash. Ball size/weight/lenght: 100 gram ball, 199 meters & 218 yards. Suggested needle size: 7-9 US. 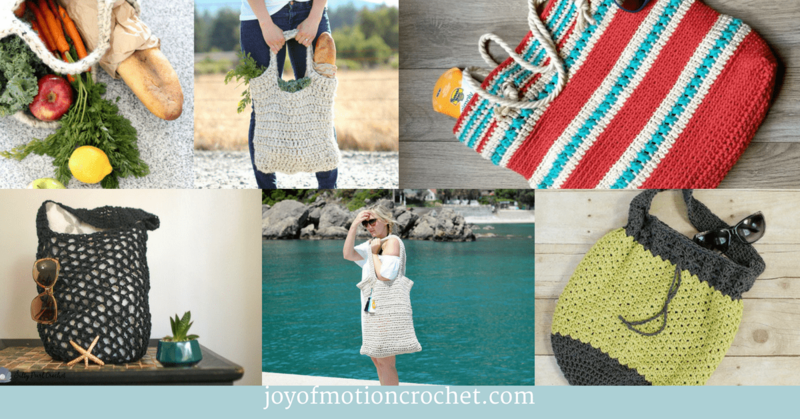 The Yarn can be used for both crochet & knitting, and I must not forget Tunisian Crochet. 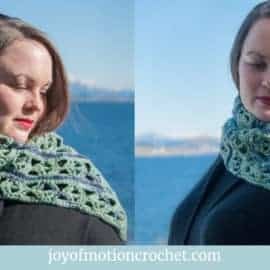 As the description of the yarn says, it’s a great yarn to be used for shawls & sweaters, & I think I would definitely agree with that. Since the yarn is Superwash, it’s also a great yarn for anything you’d wash more frequently, without having to worry about it felting. 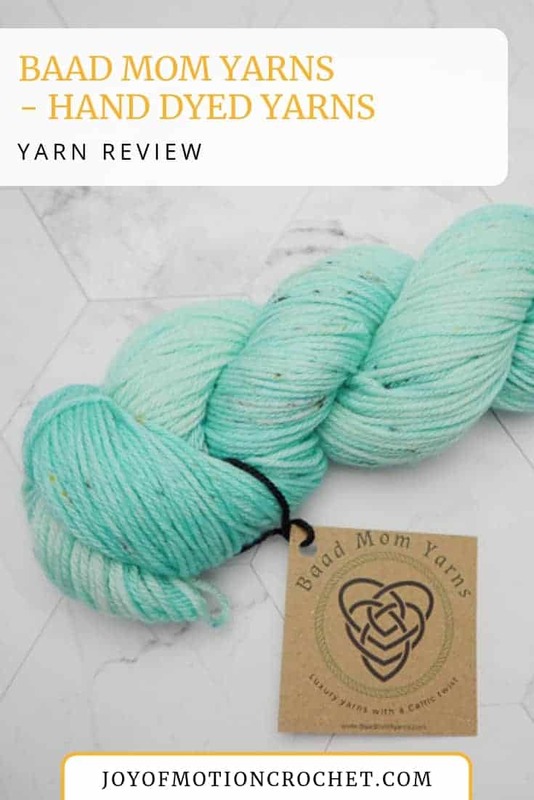 When I received the yarn I knew I had to try using it before I wrote the review. 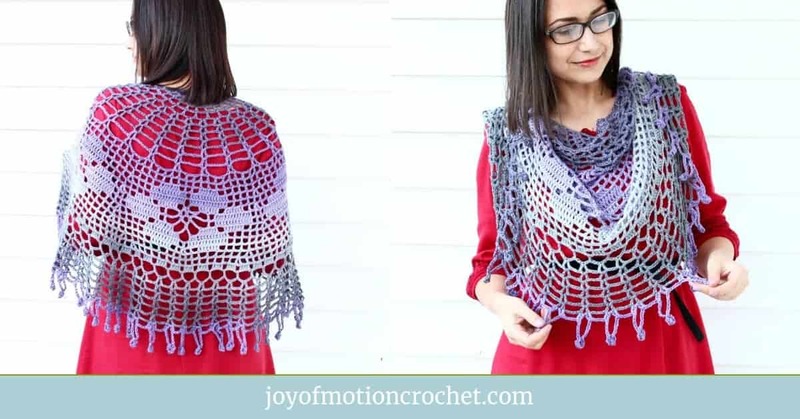 As always, I almost never crochet without having a crochet pattern design in mind. So when I finally turned the beautiful hank into a cake, I knew I wanted to make a one skein wonder. But this time around I wanted to explore a technique I haven’t tried before & decided to grab the Tunisian Crochet hook I purchased years ago & started playing with a design to go with the yarn. Well, as I was learning a new technique I didn’t quite get it right the first time around. That meant this yarn would have to withstand the fact that I ripped out the crochet project multiple times. Thinking back, I’m sure I started over about 8 times, using the first 1/3 of the skein. 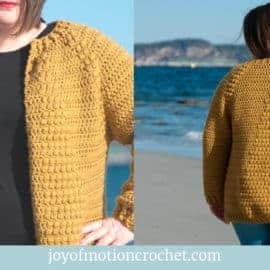 What’s amazing is the fact that the yarn didn’t show any signs of wear and tear after repeatedly using the yarn to crochet multiple variations of my idea. 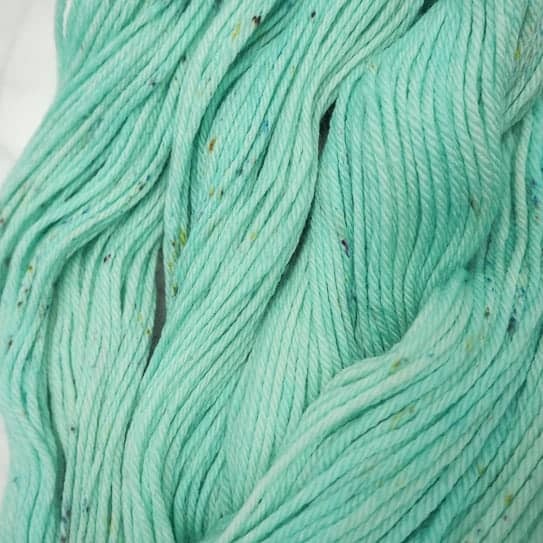 The yarn I received had a beautiful turquoise color, with lots of beautiful tiny speckles. 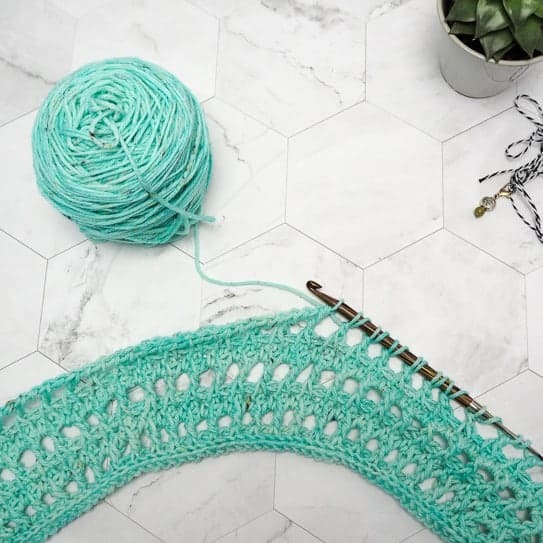 When looking at the yarn from a distance, you won’t actually know that there’s beautiful speckles on this yarn. However, if you’re up close, you can appreciate them & be amazed. 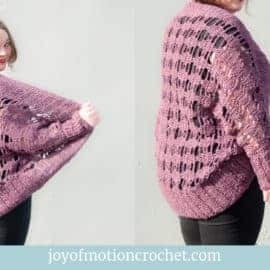 Personally I almost feel the speckles give the yarn a slight tweed look, which I really love. 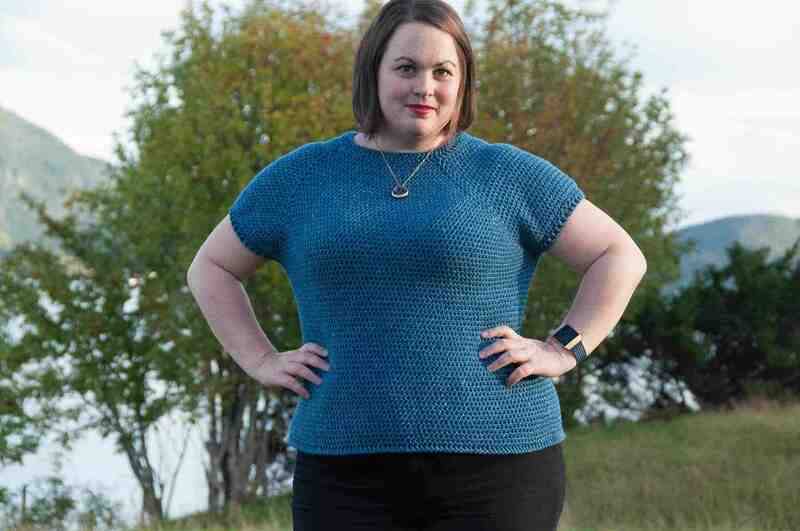 Finally, I have to comment on the beautiful variations of the turquoise color. This is my favorite thing about hand dyed yarns, the fact that the colors rarely are 100 % solid. In this instance you’ll find a very subtle variation from lighter, almost white turquoise, to the brighter & richer variation of the color. 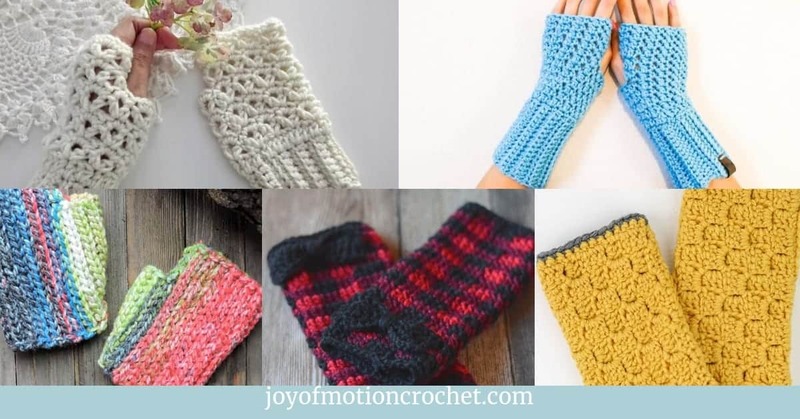 If you’re interested in more color options, visit her shop. 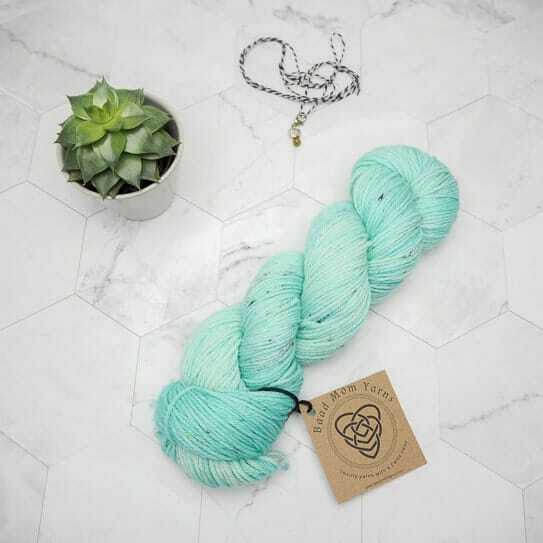 So where can you grab this amazing yarn? Well, I’ll share it here with you. 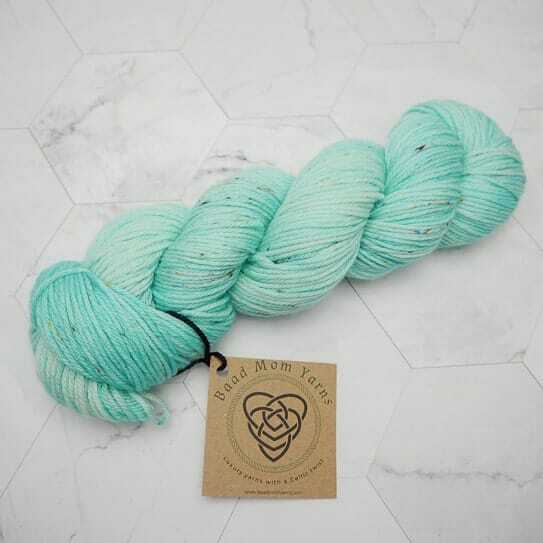 To find ready to ship yarns, you’ll have to visit Baad Mom Yarns on Etsy. At the moment of writing this there’s lots of beautiful yarns & colors to choose from. 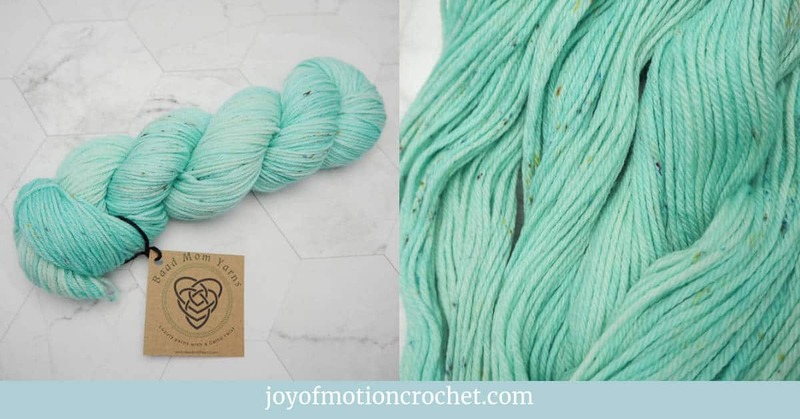 When I received this yarn to review it I also got a special coupon code from Melanie. This coupon is valid until June 1st 2019. The yarn is Superwash & can withstand washing without having to worry about it felting. It didn't show signs of wear & tear even though I ripped it out multiple times. The color are beautiful & rich. The speckles are amazing & almost gives the yarn a tweed look. The yarn is ethnically sourced. A lot of skeins are ready to ship! When writing a reveiw I feel like I have to come up with a con. The yarn is a little expensive, meaning I can't always afford it. To clarify: The yarn isn't more expensive than what I expect when buying hand dyed yarns & is worth every penny.